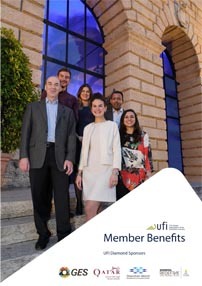 It won’t surprise anyone to say that when UFI and Explori teamed up to analyse the email survey responses from exhibitors at 1,040 trade shows, asking how they would improve their event experience, the majority asked for more people to attend their stand, followed by an increase in overall visitor numbers. Exhibitors pay good money to be at the biggest events. What might surprise you however, is the fact that venue shortcomings (quality of food outlets, parking and ease of build-up/break down) and organiser shortcomings (communication, exhibitor manuals etc) generated 20 and 16 per cent of suggested improvements respectively. 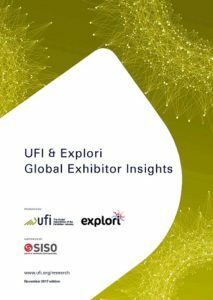 As we discussed in part one of this feature, the findings of UFI and Explori’s Global Insights report indicate a correlation – not a causality – between the size of an exhibition and exhibitor satisfaction. Small events (1,000 to 3,000 visitors) typically contain 13 per cent dissatisfied and disloyal exhibitors, while large events of more than 25,000 visitors have 18 per cent. Chief executive of consultancy JWC, Jochen Witt, addressed his concerns about drawing any connection between event size and satisfaction in my precursor to this piece, but what can we do to ensure that as shows get larger they don’t lose sight of their clients’ basic needs? In his review of 2017 for Exhibition World magazine, CEO of Informa’s global exhibitions division Charles McCurdy wrote that buyers are becoming increasingly sophisticated in their sourcing habits, and that larger organisers with the greater likelihood of using digital solutions are well placed to enrich their experience. “They are better equipped to get ahead of trends as long as they can go deep into their verticals,” he commented. But are we making the most fo this new advantage? Many exhibitors already realise that setting up a stand and hoping for the right people to walk by is not the best way to engage in trade show business. They want more and organisers are ante-ing up in kind. “Look at all the programmes that surround big shows such as the Mobile World Congress,” Kim Myhre, MD at experience design lab MCI Experience said. “There is a lot of interesting stuff going on, from implementation in scientific research, to automotive applications, to the use of mobile technology to enable refugees. The opportunity to crack a large show such as Mobile World Congress (mobility is everywhere) or CES Las Vegas (its scope has expended far beyond consumer electronics) into five or six parts is evident, he said. Another problem with size is that the return on attending an event is diminished by virtue of big show physics. “Event directors can simply run out of logistical capacity,” says Myhre. “If the queue for a taxi is two hours long, and your choice of hotels all triple in price, then your exhibitors and visitors are presented with a challenge. Once the scale impacts the quality of the experience, you’ll see erosion. ”The risk for exhibitors is that as the show gets bigger, a show becomes too fragmented. This happens when many different markets are being served under one roof. Exhibitors fight to get from hall seven to hall five, then hall four and eventually hall three. They spend a lot of money to do this, and expectations rise. In serving the purpose of bringing that community together, a show organiser can create a situation whereby its exhibitors get a little lost in the crowd. In which case, it may be necessary to simply focus on the exhibitors themselves. There is an old saying that it’s one thing to lead a horse to water, another thing entirely to make it drink. Exhibitors can do much to make the experience more valuable for themselves, but the organisers – with all the tools available to them – are uniquely placed to achieve this.